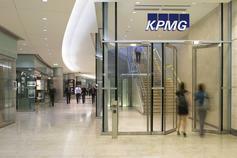 KPMG in Moldova is helping businesses respond to changes in the global economy. We are also committed to providing an environment where our people can flourish and contribute to a sustainable world. The KPMG culture is rooted in our values. Our integrity and policy of open and honest communication builds trust and cooperation, while our flexibility and diversity creates a culture in which people share knowledge freely, bringing out the very best in each other. When asked why they choose to work with KPMG, numerous clients refer specifically to our high level of professional ethics, our loyalty and our approachability.Our culture extends beyond good business practice. We are also recognized for the efforts we make to alleviate poverty, support education and protect the environment. KPMG In Moldova works diligently with other companies, governments and non-governmental organizations to address these problems and make a positive difference in peoples’ health, welfare and prosperity.Our employees benefit from this forward-thinking approach. A critical element of KPMG’s vision is that our firm is recognized as an "‘employer of choice" - to recruit, retain and develop the very best people.This allows our people to flourish both as professionals and as individuals - to enjoy a challenging career and get the most from their personal lives. They do so knowing that they are part of a responsible and positive culture that extends beyond them into the greater business, social and natural environment.